Established in 1945, L’Intendant has established itself in Bordeaux as the reference caviste to purchase the grands crus of Bordeaux directly from the properties. one of the grandest wine stores in the world. 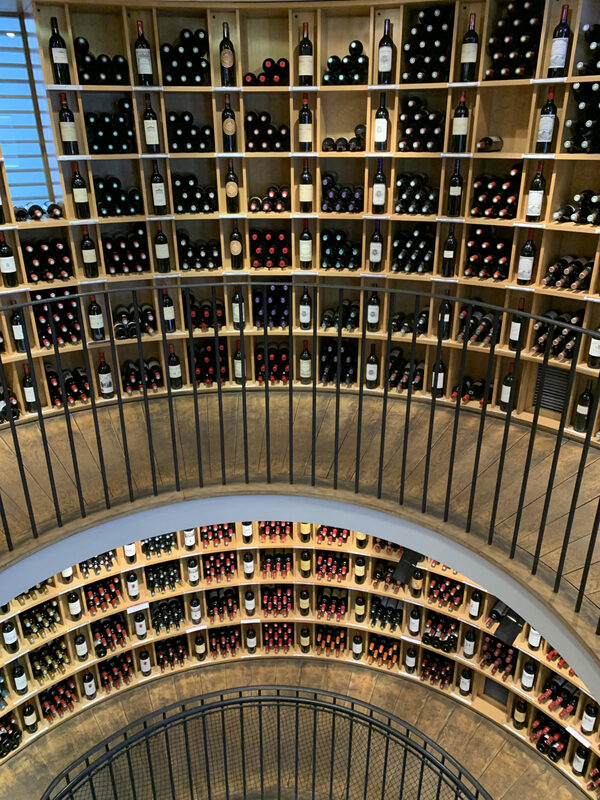 As you enter, you see a magnificent central staircase spiralling up five floors, which are surrounded by cylindrical shelves holding over 20,000 bottles of Bordeaux. The ground floor offers a wide selection of half-bottles and affordable wines, ascend to the next level you will find bourgeois crus and second wines; at the third level you discover the classified Crus of Médoc, the big reds of Saint-Emilion, Pomerol and Pessac-Léognan; finally, a true sanctuary, the fourth and final level contains an incomparable offer of large formats including double-magnums, jeroboams, and imperial, along with older vintages, some going back as far as 1945.